This is pretty much my go-to summer fit: loose knit tops, cutoff shorts, and the wind in my hair! I wore this on a recent date with my husband. Bike ride dates are probably my favorite type of date. They're very casual and always involve my favorite indulgence- coffee. While we're on the subject of indulgences, can you please check out my lovely glittery flats. Swooning over them! Thank you to Editorial by Ellie Shoes for sending them my way! 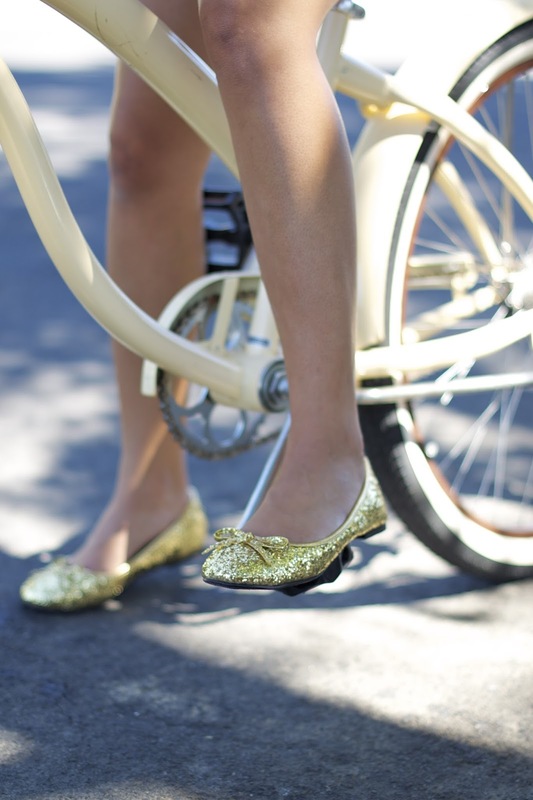 The delicate bows mixed with gold glitter made them the perfect everyday flat. Also, these shorts were purchased for only $1.99 at a thrift store. They were originally capris, but I thought they were better suited as shorts! All my jeans are in danger of becoming shorts because I just love restyling them! Such a pretty look! 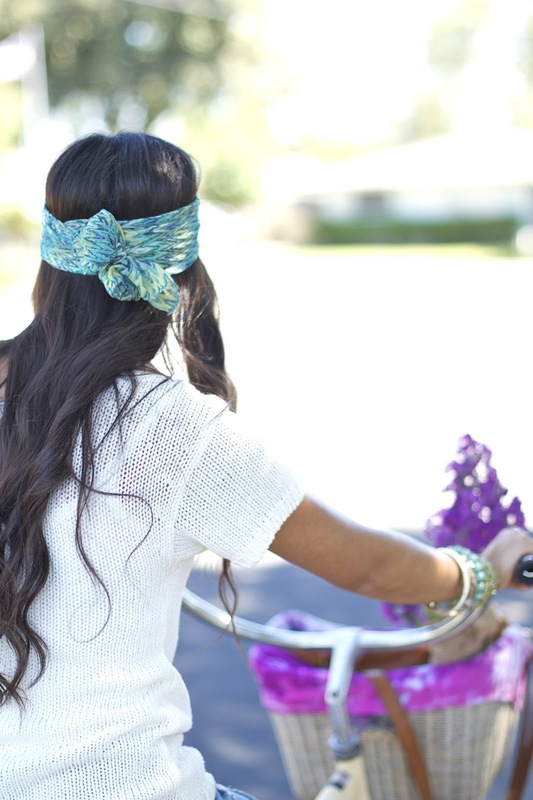 Perfect for a bike ride :)! Love the top and the headband! !